An independent assessment team (IAT) is scheduled to brief U.S. Department of Transportation (DoT) and Department of Homeland Security (DHS) officials in December on its recommendations for whether an enhanced Loran (eLoran) system could serve as a U.S. backup to GPS (or GNSS in general). The DoT and DHS are charged by President Bush’s 2004 national security directive on space-based positioning, navigation, and timing (PNT) to develop and maintain backup position, navigation, and timing capabilities within the United States, in the event of a disruption of GPS or other GNSSes. Despite being stiffed by Presidential budget proposals since 1994, written out of the Federal Radionavigation Plan in 2004, its 2007 budget zeroed out by the U.S. Coast Guard (USCG) commandant earlier this year, overshadowed by GPS for the past decade, and practically devoid of North American users, Loran still appears likely to find new life as a hedge against the potential failure of space-based PNT systems. It is, in fact, the last of these increasingly critical infrastructures — precise timing for telecommunications, banking, and electric power systems — that may put eLoran back in the game. While every safety-critical mode of transportation has individual means to survive a temporary loss of GPS, timing systems would now have to depend on disparate and unnetworked atomic clocks and crystal oscillators that would lose synchronization at various and unpredictable rates. Despite its routine absence from administration budget proposals, Loran has been rescued by congressional advocates who have provided $160 million since 1997 to enhance the Loran system and conduct research to make eLoran a viable backup to GPS. 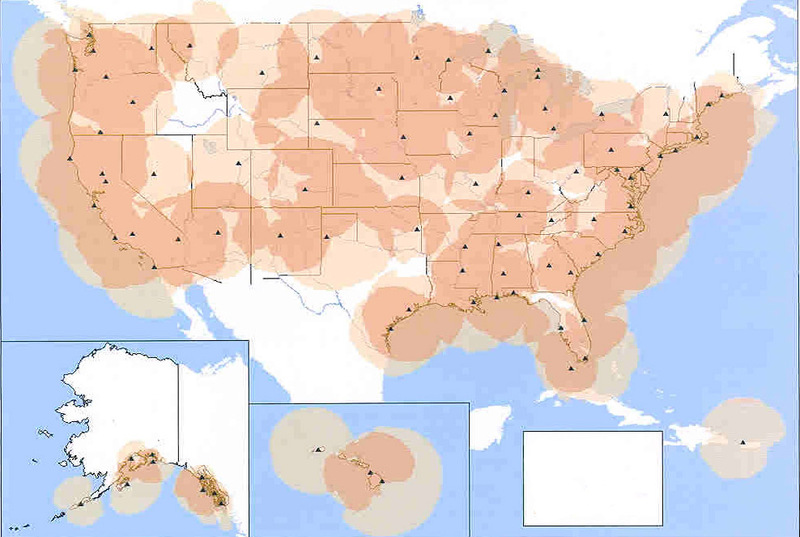 Those funds have helped modernize and add to the network of Loran transmitters that cover the United States, equipping every station with three cesium clocks, while encouraging miniaturization of Loran receiver technology able to use new all-in-view techniques that provide positioning and timing accuracy approaching that of GPS. Coming together. All this is leading to a convergence of forces and activities that bode well for Loran. Meanwhile, in August a white paper prepared for the Federal Aviation Administration, “GPS Backup For Position, Navigation and Timing,” endorsed eLoran as well. The 11-member Loran IAT, which is headed by Brad Parkinson, a Stanford University professor and founding program director for the GPS Joint Program Office, has held a series of meetings with PNT equipment manufacturers and users to assess their ideas and sentiments about eLoran. NDGPS in trouble. Meanwhile, NDGPS appears to be losing its equally long battle to remain on the air. The recent transfer of the program from Federal Railroad Administration (FRA) sponsorship to the new U.S. Department of Transportation’s (DoT’s) Research & Innovative Technology Administration (RITA) failed to secure operational funding from the White House Office of Management and Budget (OMB). Currently, the FY07 operating plan halts all new NDGPS site construction and allocates only $2 million to decommission the program beginning in FY08. 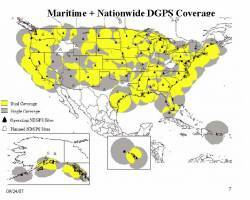 Absent the intervention of Congress or a reversal of administration plans, NDGPS will go off the air in October 2007. Pressure from private companies, which argue the system provides an unfair taxpayer-supported alternative to their services, apparently struck a chord with advocates of privatization in the Bush administration.